^ The National Park Service Organic Act. National Park Service. 2008-02-26 [2012-01-22]. （原始内容存档于2012-01-22）. ^ Criteria for New National Parks (PDF). National Park Service. [2015-07-22]. （原始内容存档 (PDF)于2015-07-22）. ^ American Antiquities Act. National Park Service. [2015-07-22]. （原始内容存档于2015-07-05）. ^ 4.0 4.1 4.2 The National Parks: Index 2005–2007 (PDF). Washington, D.C.: National Park Service. [2011-06-05]. ISBN 978-0-912627-75-5. （原始内容 (PDF)存档于2011-06-05）. ^ 10 Most Visited National Parks (2014) (PDF). National Park Service. [2015-07-22]. （原始内容存档 (PDF)于2015-06-19）. ^ 6.0 6.1 Annual Park Ranking Report for Recreation Visitors in: 2014. NPS Stats. [2015-07-20]. （原始内容存档于2015-07-13）. ^ World Heritage List. UNESCO World Heritage Centre. [2015-07-19]. （原始内容存档于2015-03-03）. ^ National Park System Areas Listed in Chronological Order of Date Authorized under DOI (PDF). National Park Service. 2005-06-27 [2012-04-20]. （原始内容 (PDF)存档于2012-04-20）. ^ Acadia National Park. National Park Service. [2015-07-20]. （原始内容存档于2015-07-14）. ^ Acadia National Park Places To Go. National Park Service. [2015-07-20]. （原始内容存档于2015-06-20）. ^ National Park of American Samoa. National Park Service. [2015-07-20]. （原始内容存档于2015-06-19）. ^ Arches National Park. National Park Service. [2015-07-20]. （原始内容存档于2015-07-14）. ^ Badlands National Park. National Park Service. [2015-07-20]. （原始内容存档于2015-06-20）. ^ Big Bend National Park. National Park Service. [2009-12-08]. （原始内容存档于2015-07-14）. ^ Biscayne National Park. National Park Service. [2015-07-20]. （原始内容存档于2015-07-14）. ^ Black Canyon of the Gunnison National Park. National Park Service. [2015-07-20]. （原始内容存档于2015-06-19）. ^ Bryce Canyon National Park. National Park Service. [2015-07-20]. （原始内容存档于2015-07-04）. ^ Canyonlands National Park. National Park Service. [2015-07-20]. （原始内容存档于2015-06-19）. ^ Capitol Reef National Park. National Park Service. [2015-07-20]. （原始内容存档于2015-07-04）. ^ Carlsbad Caverns National Park. National Park Service. [2015-07-20]. （原始内容存档于2015-07-14）. ^ Channel Islands National Park. National Park Service. [2015-07-20]. （原始内容存档于2015-07-02）. ^ Congaree National Park. National Park Service. [2015-07-20]. （原始内容存档于2015-07-12）. ^ Crater Lake National Park. National Park Service. [2015-07-20]. （原始内容存档于2015-07-02）. ^ Cuyahoga Valley National Park. National Park Service. [2015-07-20]. （原始内容存档于2015-06-29）. ^ Cuyahoga Valley National Park Scenic Railroad. National Park Service. [2015-07-20]. （原始内容存档于2015-07-17）. ^ Death Valley National Park. National Park Service. [2015-07-20]. （原始内容存档于2015-06-25）. ^ Denali National Park. National Park Service. [2015-07-20]. （原始内容存档于2015-07-03）. ^ Dry Tortugas National Park. National Park Service. [2015-07-20]. （原始内容存档于2015-07-13）. ^ Everglades National Park. National Park Service. [2015-07-20]. （原始内容存档于2015-06-23）. ^ Gates of the Arctic National Park. National Park Service. [2015-07-20]. （原始内容存档于2015-06-19）. ^ Glacier National Park. National Park Service. [2015-07-20]. （原始内容存档于2015-07-04）. ^ Glacier Bay National Park. National Park Service. [2015-07-20]. （原始内容存档于2015-06-23）. ^ Grand Canyon National Park. National Park Service. [2015-07-20]. （原始内容存档于2015-07-14）. ^ Grand Teton National Park. National Park Service. [2015-07-20]. （原始内容存档于2015-06-19）. ^ Great Basin National Park. National Park Service. [2015-07-20]. （原始内容存档于2015-07-16）. ^ Great Sand Dunes National Park. National Park Service. [2015-07-20]. （原始内容存档于2015-07-11）. ^ Great Smoky Mountains National Park. National Park Service. [2015-07-21]. （原始内容存档于2015-07-06）. ^ Guadalupe Mountains National Park. National Park Service. [2015-07-21]. （原始内容存档于2015-06-19）. ^ Haleakala National Park. National Park Service. [2015-07-21]. （原始内容存档于2015-07-13）. ^ Hawaii Volcanoes National Park. National Park Service. [2015-07-21]. （原始内容存档于2015-07-16）. ^ Hot Springs National Park. National Park Service. [2015-07-21]. （原始内容存档于2015-07-14）. ^ Isle Royale National Park. National Park Service. [2015-07-21]. （原始内容存档于2015-07-13）. ^ Joshua Tree National Park. National Park Service. [2015-07-21]. （原始内容存档于2015-07-13）. ^ Katmai National Park. National Park Service. [2015-07-21]. （原始内容存档于2015-07-13）. ^ Kenai Fjords National Park. National Park Service. [2015-07-21]. （原始内容存档于2015-07-04）. ^ Kings Canyon National Park. National Park Service. [2015-07-21]. （原始内容存档于2015-07-10）. ^ Kobuk Valley National Park. National Park Service. [2015-07-21]. （原始内容存档于2015-06-19）. ^ Lake Clark National Park. National Park Service. [2015-07-21]. （原始内容存档于2015-06-25）. ^ Lassen Volcanic National Park. National Park Service. [2015-07-21]. （原始内容存档于2015-06-25）. ^ Mammoth Cave National Park. National Park Service. [2015-07-21]. （原始内容存档于2015-06-28）. ^ Mesa Verde National Park. National Park Service. [2015-07-21]. （原始内容存档于2015-07-07）. ^ Mount Rainier National Park. National Park Service. [2015-07-21]. （原始内容存档于2015-06-27）. ^ North Cascades National Park. National Park Service. [2015-07-21]. （原始内容存档于2015-06-29）. ^ Olympic National Park. National Park Service. [2015-07-21]. （原始内容存档于2015-06-19）. ^ Petrified Forest National Park. National Park Service. [2015-07-21]. （原始内容存档于2015-07-06）. ^ Pinnacles National Monument. National Park Service. 2009-01-09 [2015-07-21]. （原始内容存档于2015-06-19）. ^ Redwood National Park. National Park Service. [2015-07-21]. （原始内容存档于2015-06-19）. ^ Rocky Mountain National Park. National Park Service. [2015-07-21]. （原始内容存档于2015-07-02）. ^ Saguaro National Park. National Park Service. [2015-07-21]. （原始内容存档于2015-06-19）. ^ Sequoia National Park. National Park Service. [2015-07-21]. （原始内容存档于2015-07-10）. ^ Shenandoah National Park. National Park Service. [2015-07-21]. （原始内容存档于2015-06-30）. ^ Theodore Roosevelt National Park. National Park Service. [2015-07-21]. （原始内容存档于2015-06-20）. ^ Virgin Islands National Park. National Park Service. [2015-07-21]. （原始内容存档于2015-07-04）. ^ Voyageurs National Park. National Park Service. [2015-07-21]. （原始内容存档于2015-06-19）. ^ Wind Cave National Park. National Park Service. [2015-07-21]. （原始内容存档于2015-06-19）. ^ Wrangell – St. Elias National Park. National Park Service. [2015-07-22]. （原始内容存档于2015-06-19）. 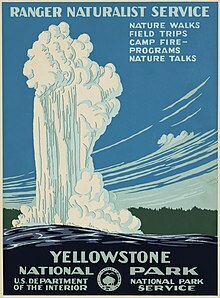 ^ Yellowstone National Park. National Park Service. [2015-07-22]. （原始内容存档于2015-07-07）. ^ Yosemite National Park. National Park Service. [2015-07-22]. （原始内容存档于2015-07-20）. 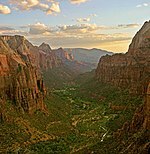 ^ Zion National Park. National Park Service. [2015-07-22]. （原始内容存档于2015-07-06）.